Age Limit (as on 01.04.2019) : Not below 20 years and not above 28 years as on 01.04.2019, i.e candidates must have been born not earlier than 02.04.1991 and not later than 01.04.1999 (both days inclusive). Educational Qualification (As on 31/08/2019) : Candidate should have Graduation in any discipline from a recognized University or any equivalent qualification recognized as such by the Central Government. Candidates having integrated dual degree (IDD) certificate should ensure that the date of passing the IDD is on or before 31.08.2019. NOTE : The payment can be made by using Debit Cards (RuPay/Visa/MasterCard/Maestro), Credit Cards, Internet Banking, IMPS, Cash Cards/ Mobile Wallets by providing information as asked on the screen. Transaction charges for online payment, if any, will be borne by the candidates. Selection Process : Selection Process for SBI Clerk Post will consist of Online Preliminary & Mains Exam and test of specified opted Local Language. Pre Exam will be of qualifying Nature. Candidates can Apply under Online Mode from the Official Website (https://www.sbi.co.in). Link for Online Application & Fee Payment is available from 12.04.2019 to 03.05.2019. Dear Aspirants You can clear your Doubts regarding Age limit, Education Qualification, Pay Scale through Comment Box given below. 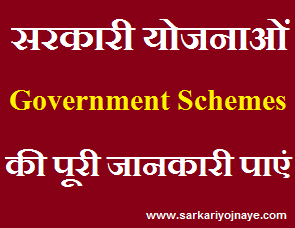 You can also send us email & Subscribe us to get Latest Government Job Alerts. We will happy to help you.